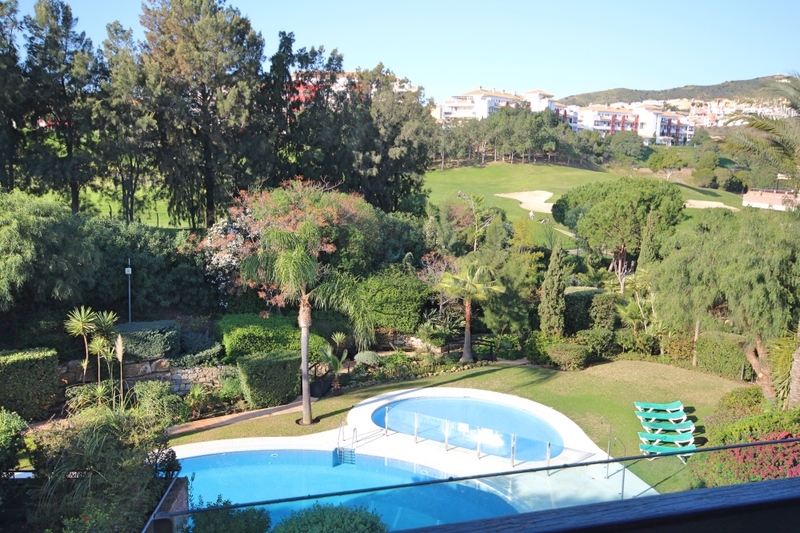 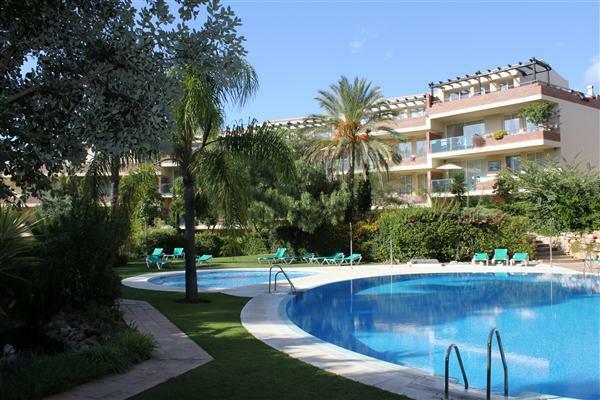 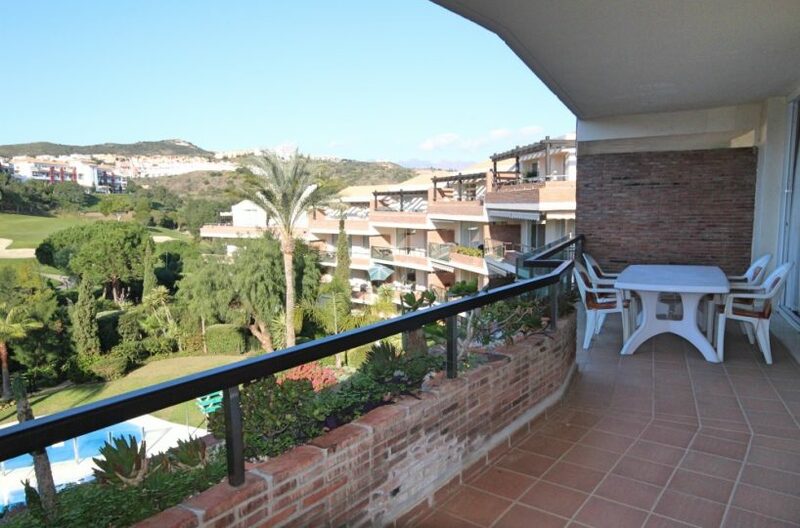 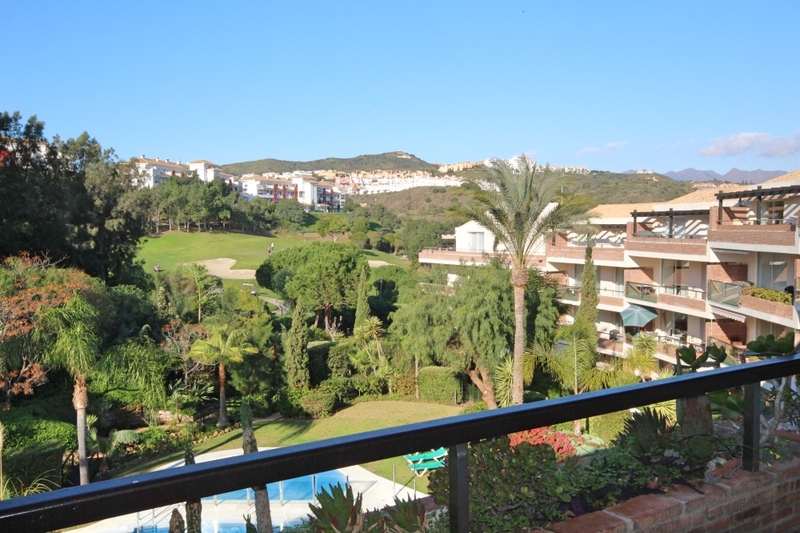 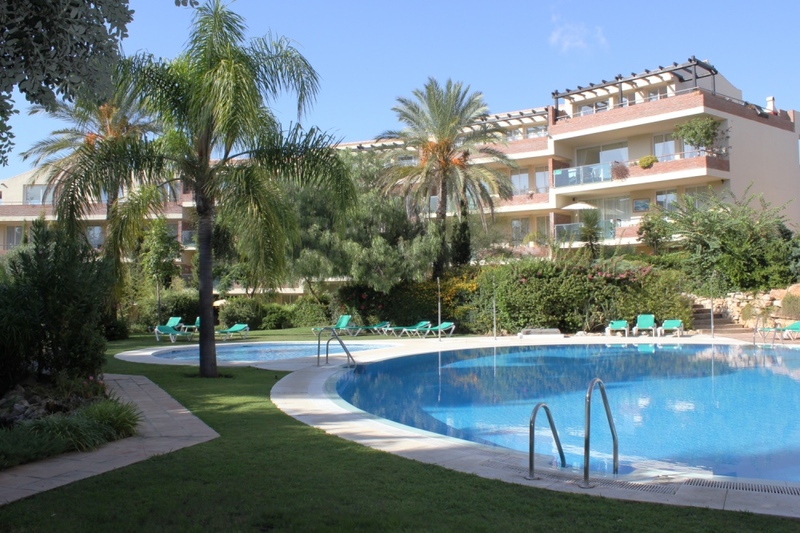 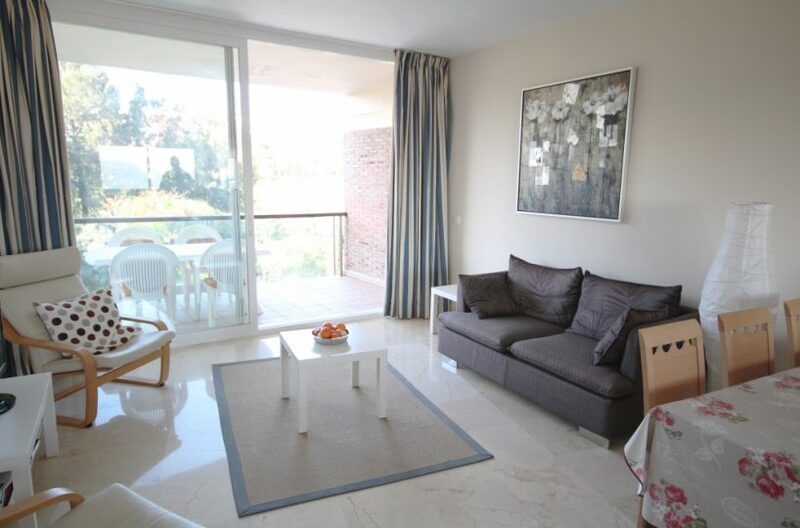 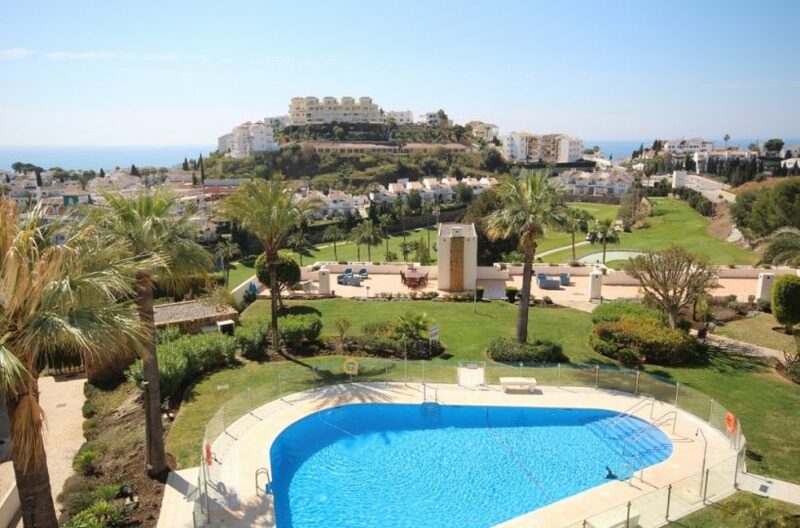 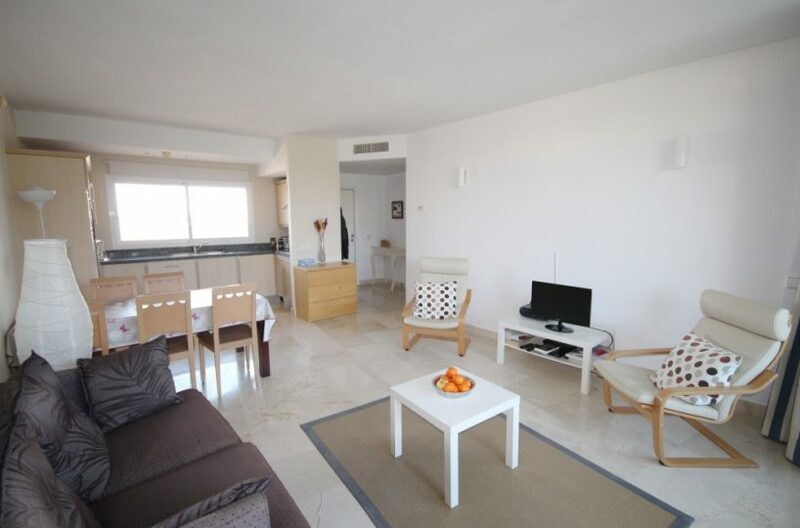 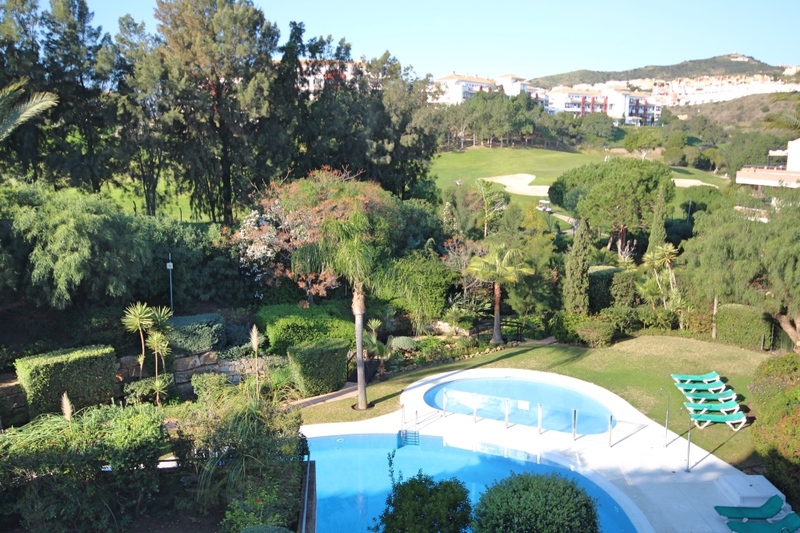 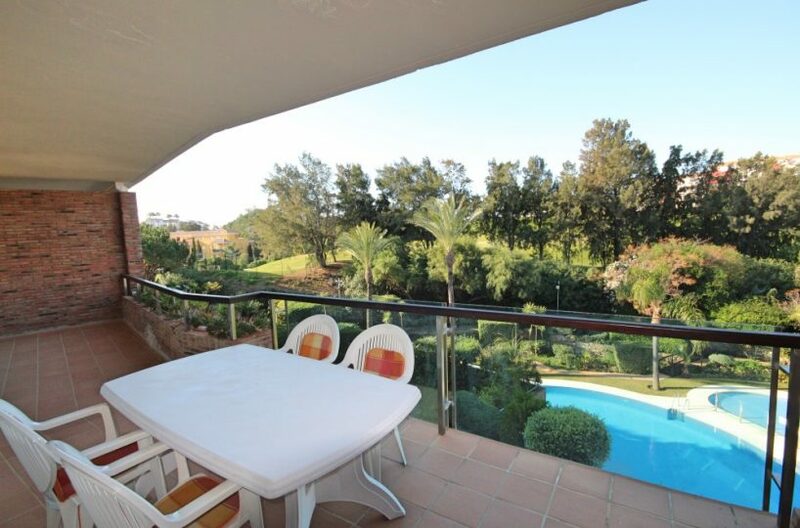 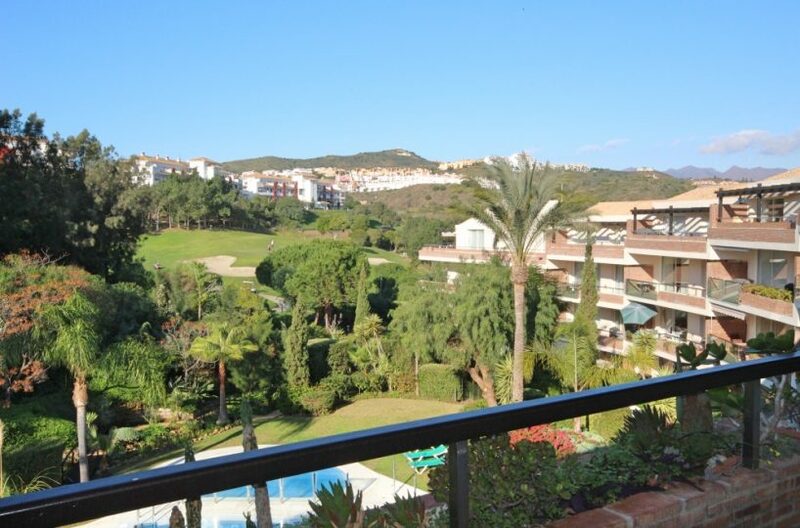 This 2 bedroom luxury south west facing 2nd floor apartment with pool and golf views is situated within the beautifully kept, complex of Milenio, next to the prestigious Miraflores Golf in Riviera del Sol. 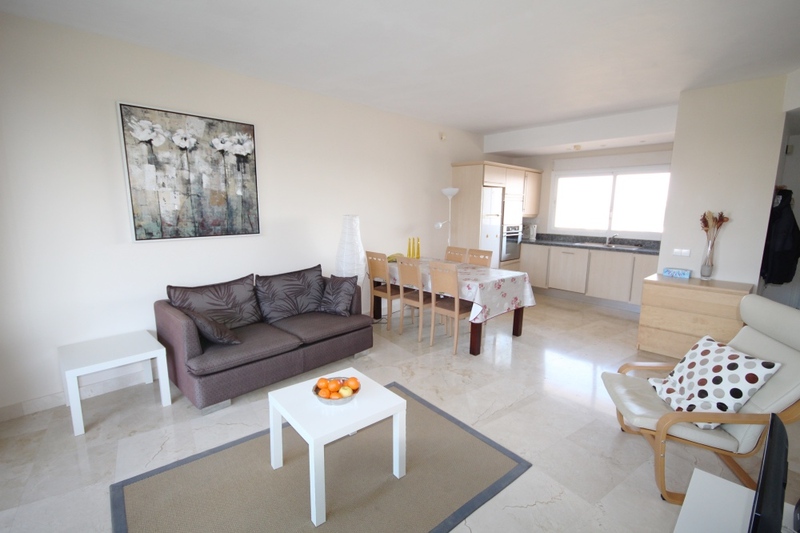 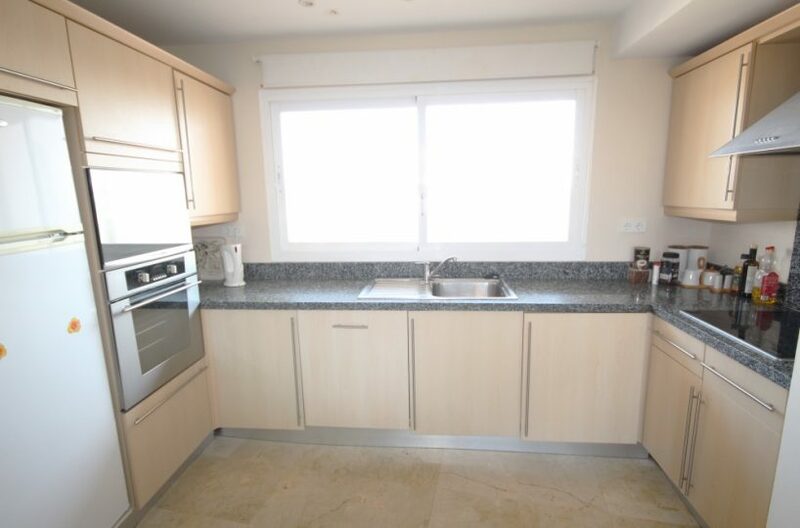 The property consists of a spacious lounge/diner, a fully fitted open plan kitchen, 2 large double bedrooms, 2 bathrooms (1 ensuite) and a large terrace. 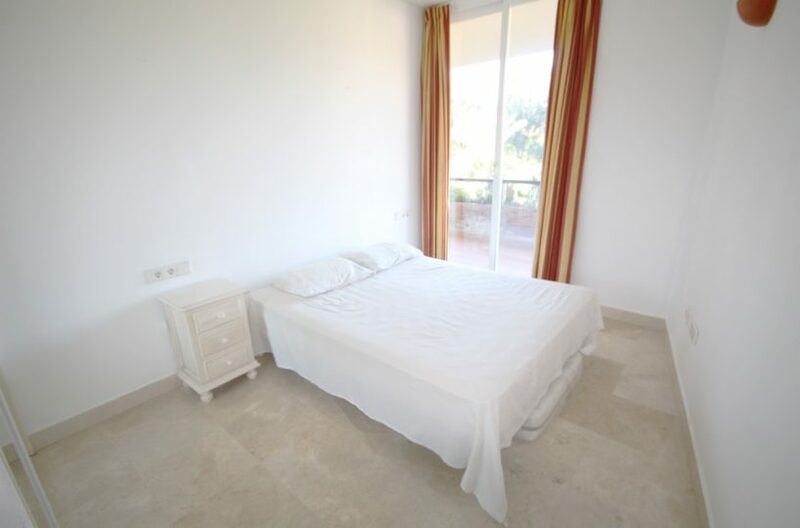 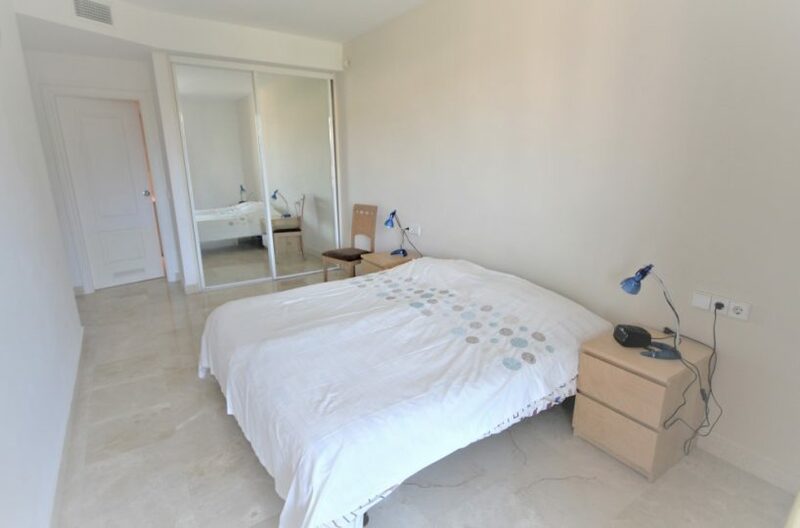 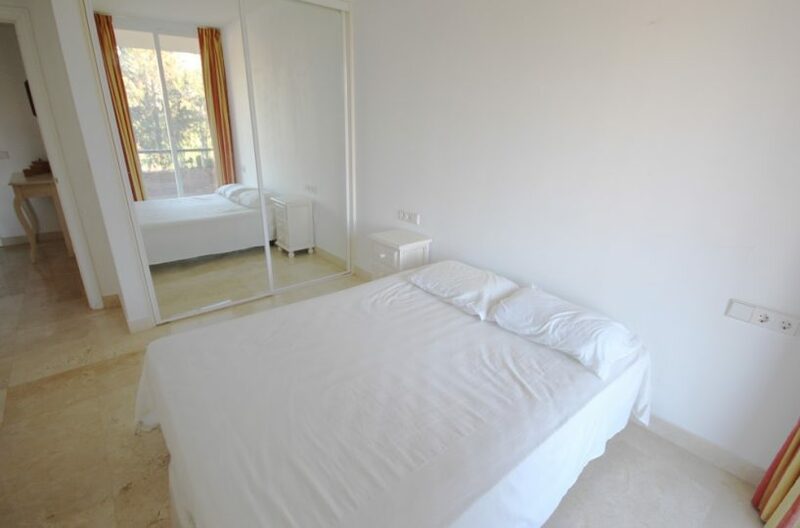 Both bedrooms have large, mirrored fitted wardrobes and patio doors leading onto the terrace. 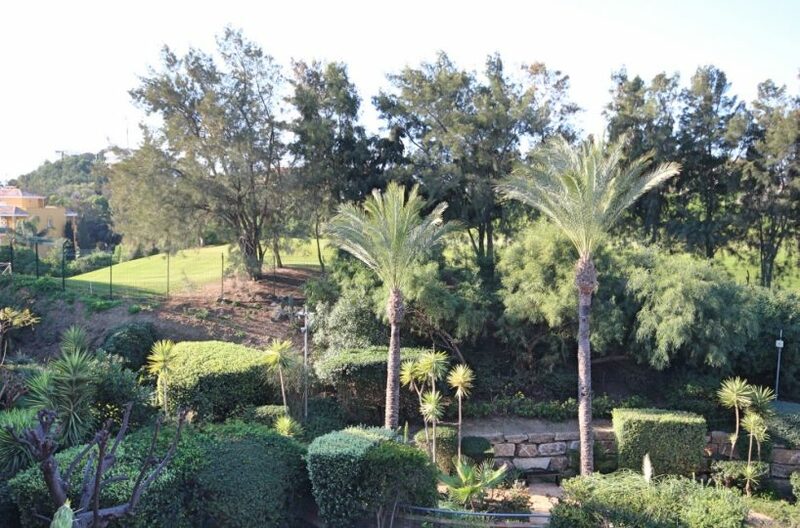 The south west facing terrace boasts lovely open views of the beautifully kept garden and pool area and views of the Miraflores Golf course. 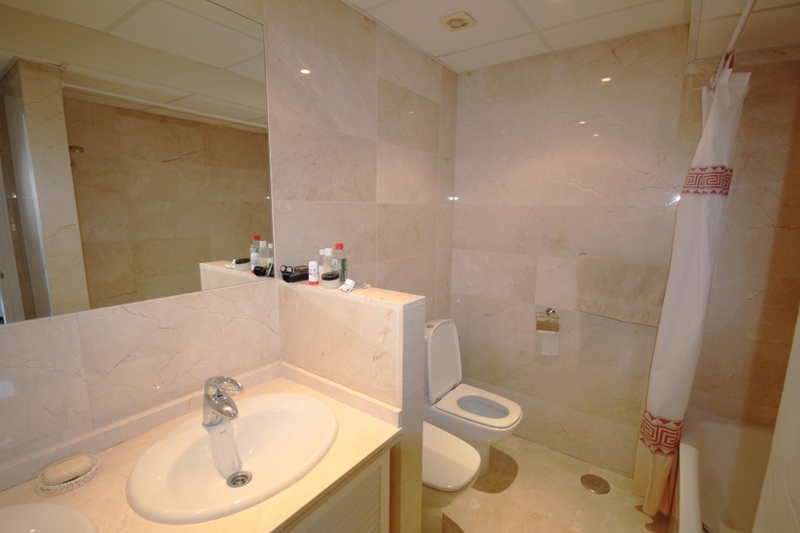 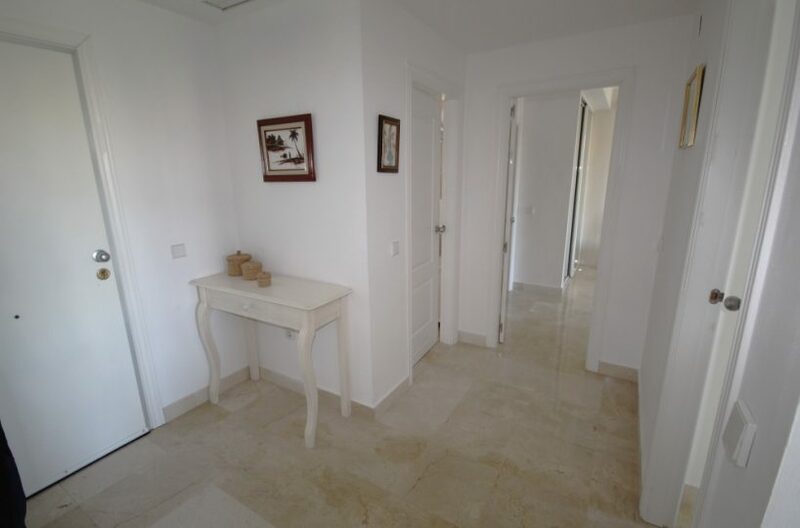 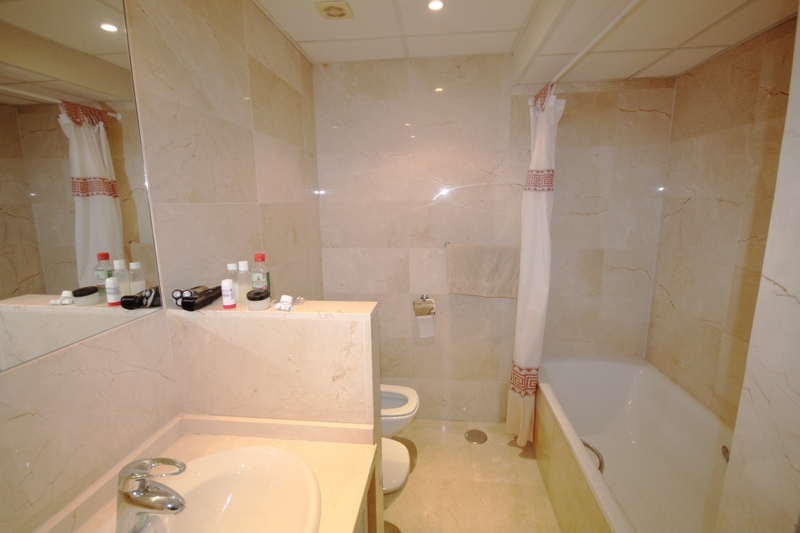 This apartment is finished to a high standard, with marble flooring throughout, fully tiled marble bathrooms, air con (H&C), video entry phone, Satellite TV, alarm, etc. 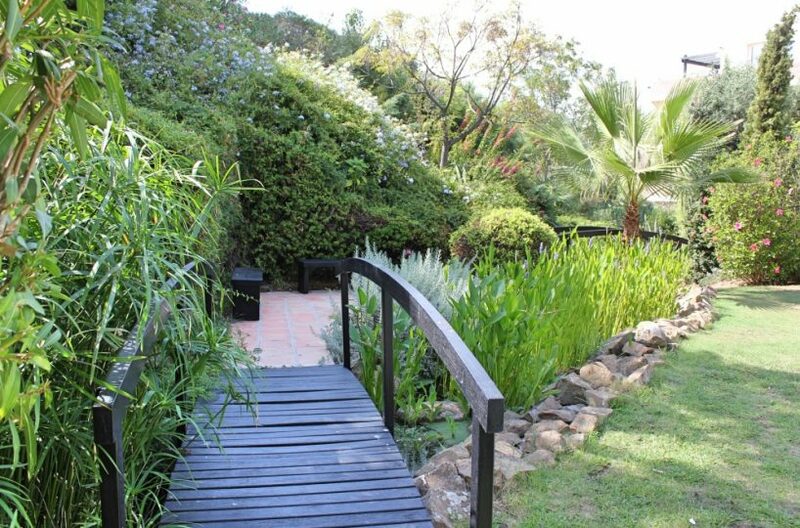 This peaceful complex has beautiful, very well maintained gardens which includes a water / pond feature. 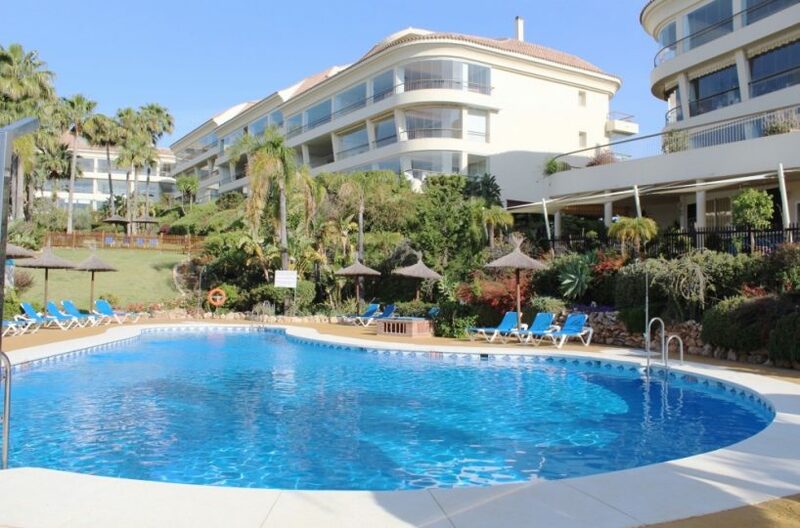 It also has a large pool with bar area, gymnasium and sauna. 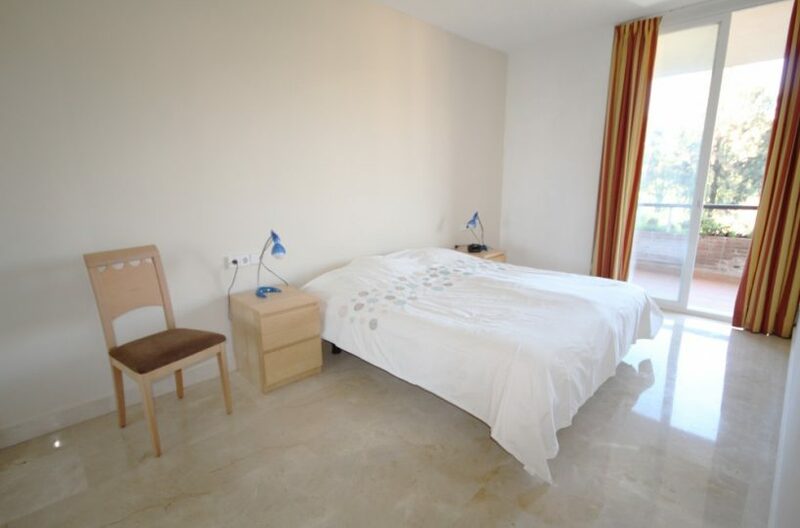 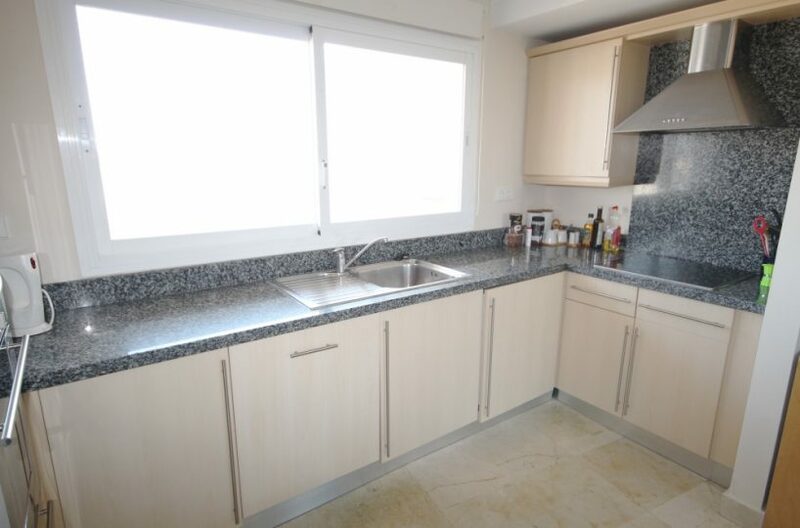 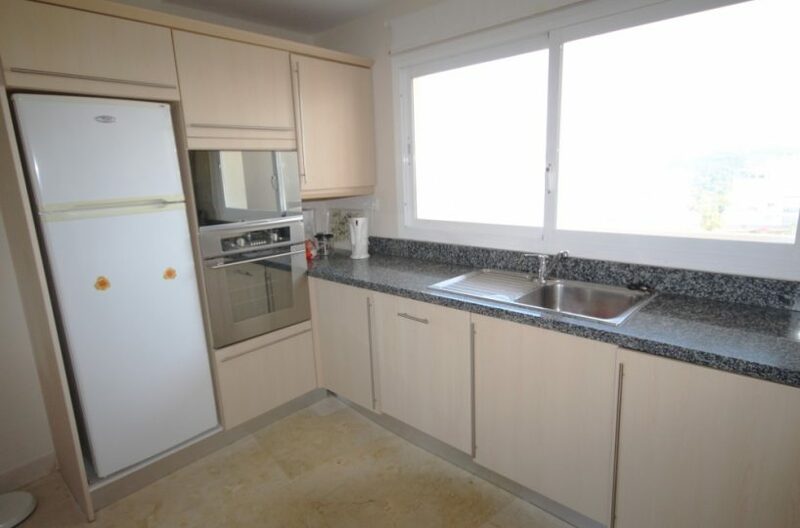 Situated next door to Miraflores golf it is a sought after complex. 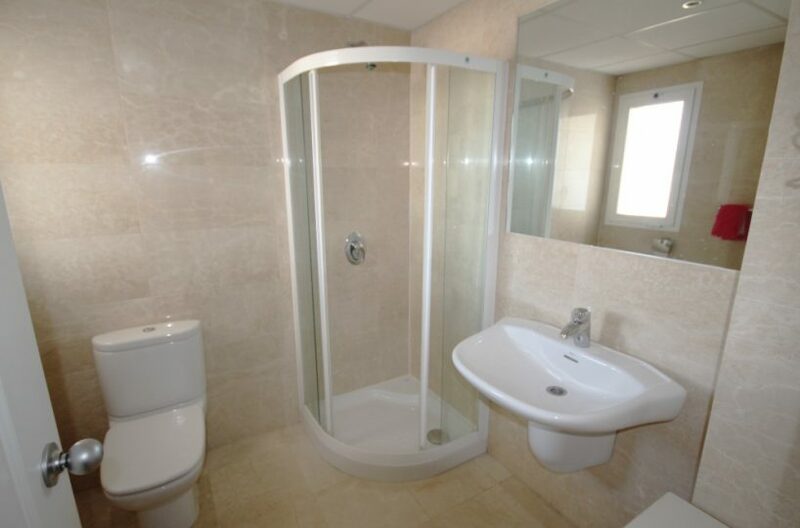 The apartment comes with a private parking space and storage.